Have you ever wanted to conduct your family dinner in a royal style? If yes, then buy the best wooden furniture online, to get some of the astounding assortments of solid wooden tables. Whether you like the rectangular 6 seater table or an 8 seater solid wooden table made of Sheesham wood, you can get all the best options when you explore an online furniture platform. In the market you can find wooden and also a combination of wood and glass tables. Although people now opt for wrought iron and plastic tables, wood still remains the favourite material when it comes to appraising the colour and style of your interior decoration. Wood gives you the eternal classical appeal with the ease of maintenance and a lifetime investment when you want to flaunt quality furniture at home. 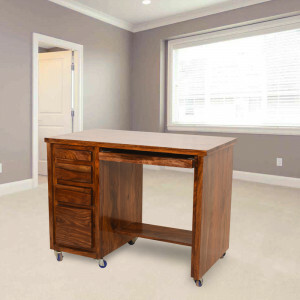 You can buy an office wooden table at a minimum cost, in combination of two or three simple wooden chairs with slender handrests. To add glamour to your official meeting, you can arrange for a separate meeting zone with a solid wooden coffee table or a side table to make the meetings more fruitful over a cup of coffee. When you have the facilities to buy table online, then you also have the freedom of imagination to select your customized designs and display variations to suit myriad needs. In fact if you customize then you can easily install magazine racks and wooden plates on the table to make the seating arrangement more distinct in nature. 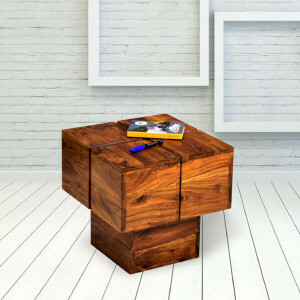 A wood table has a universal appeal in that it can be synchronized with any type of home decor that you have. 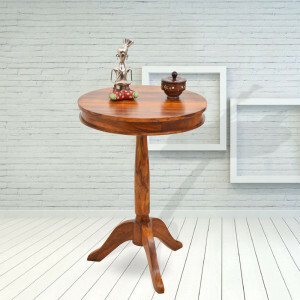 When you go for customization of table online India, you have ample options to decide about the height. While a solid wooden dining table has a moderate height, you can usually buy a coffee table which is of low height, and add wooden chairs or solid wooden benches to make space for about 5-6 members. In fact, wooden stools will also be the perfect match for the tables. Now you can fulfil all your ‘furnituristic’ desires from a furniture store online. Naveen Arts allows you to discover the blend of wooden varieties in both classic and contemporary styles. 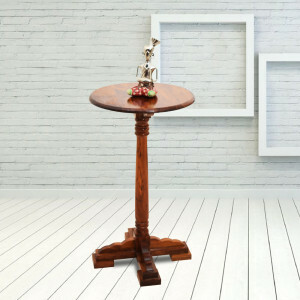 You can find solid wooden tables, chairs, stools, cabinets, wooden sofa sets, centres tables and wooden accessories online.